It is not always easy to qualify for a mortgage. As a borrower, you have to meet a lender’s credit standards, they can often be strict. 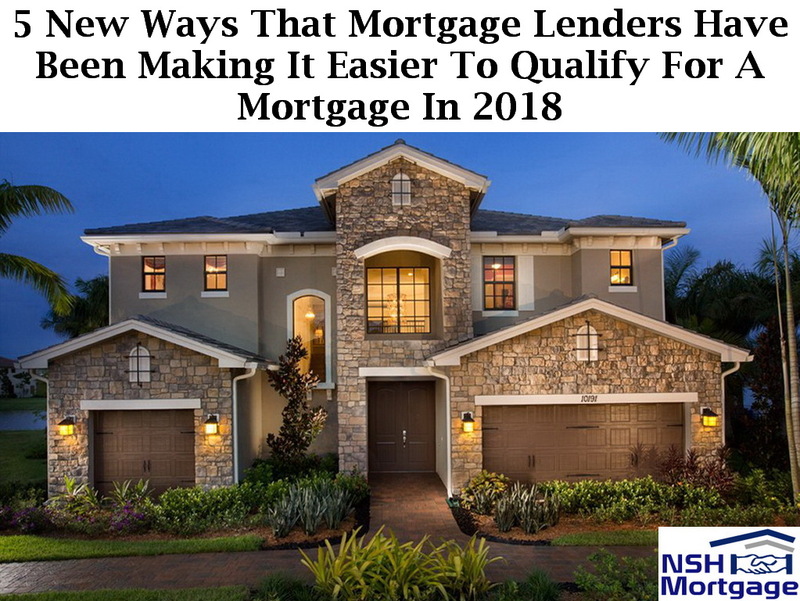 Lenders have made it easier to qualify for a mortgage. NSH Mortgage has the wisdom and tools that can help you see how these new step will affect you. But these rules are in place to protect you from buying a home you cannot afford. They also safeguard the lender from the risk that you will not be able to pay back what you borrow. The good news is that lenders are making it a little easier to get a mortgage lately. That is because they appear to be relaxing some of their rules to attract more clients. At least, that is what the results of a recent lender survey suggest. Do not outright dismiss the idea of applying for a mortgage because you do not think you will qualify. If you do your homework ahead of time, you may find that the process is easier than you think today. Fresh findings from Fannie Mae’s third quarter 2017 Mortgage Lender Sentiment Survey should encourage would be borrowers. Among the lenders that were surveyed, as many as 26% claimed that they have been easing up on their home mortgage credit standards for all their loan types instead of tightened it. That marks a new high since the quarterly poll began in March 2014. 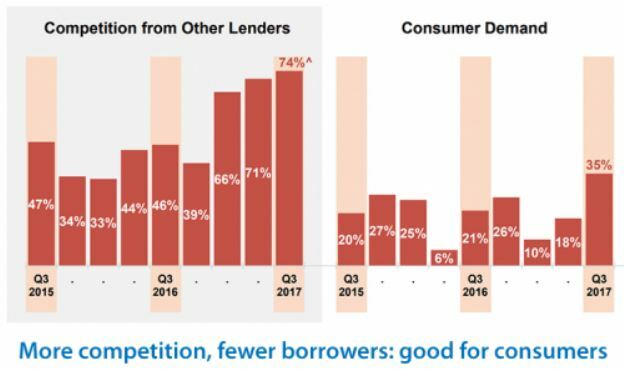 Lenders have increasingly said they are easing credit standards since the fourth quarter of 2016. The main reason for the credit loosening was due to the recent records of competition between other mortgage lenders. Additionally, mortgage lenders are also facing a negative profit margin outlook and seeing less demand for loans. In fact, the net share of lenders observing growth in purchase mortgage demand over the last three months has been dropping year after year for all these different types of mortgage loans. These factors have been helping to loosen these credit standards slightly in recent months. Mortgage lenders have also made it much easier to meet the home mortgage credit standards during the third quarter. In which it has been continuing a trend that started in late 2016. Lender’s comments suggest that competitive pressure and more favorable guidelines for government sponsored enterprise loans have helped to bring about more easing of underwriting standards for those loans. Market competitiveness also led to the fourth consecutive quarter in which lenders’ net profit margin outlook deteriorated. A favorable credit score. Fannie Mae requires a minimum credit score of only 620. An appropriate debt to income (DTI) ratio. Your debt to income (DTI) ratio number indicates your total recurring monthly debt payments such as: credit cards, student loans, and mortgages. Versus your gross monthly income and with Fannie Mae’s new DTI ceiling is set at 50%. An acceptable loan to value (LTV) ratio. Your LTV represents the loan’s size compared to the property’s value. Fannie Mae maximum LTV is a generous 97%. A reasonable loan limit. Fannie Mae maximum loan limit in most states are $424,100. One top reason many mortgage applications are being rejected is because the borrower is already carrying too much monthly debt compared to their monthly income. This is one reason many millennials are priced out of the market. When they are first out of college, they are covering student loans along with other debt from normal household formation. Thus, they cannot meet the requirements of Fannie Mae and Freddie Mac. Alternatively, Fannie Mae made it easier to qualify for a mortgage by raising its DTI maximum from 45% to 50% in July. This opens doors for additional borrowers with good credit. Additionally, it increases the ability to make a reasonable down payment to obtain a home mortgage. The recent DTI increase allows someone with $5,000 in monthly gross income to afford a total of $2,500 in payments. Before, they would only be able to afford a total of $2,250. This means they will be able to purchase as much as $50,000 more home on a 30 year fixed-rate mortgage at 4.5% interest. Mark Lee Levine, professor at the Burns School of Real Estate and Construction Management, University of Denver, said that he has seen some loosening of credit standards recently. But he cautions to people that the standards are not as lax as they were back in 2006. Lenders are more restrained today as compared with the early 2000s. Also, buyers should not get their hopes up for lending rules to get too easy. If credit standards are too relaxed, we will see more defaults on loans. This happened after the 2006 to 2008 downturn. But unless the market hits a big bump, I think we will see additional easing on loan criteria. In other words, it might get even easier to qualify for a mortgage in the coming months. Remember that mortgage interest rates remain near record lows. So now is the time to see if you can qualify for a loan and get on the fast track to owning your own home.